A watch that is beautifully sleek and minimalistic, with a slim two-toned bracelet and gold case, the clean design enhances readability without sacrificing any style. 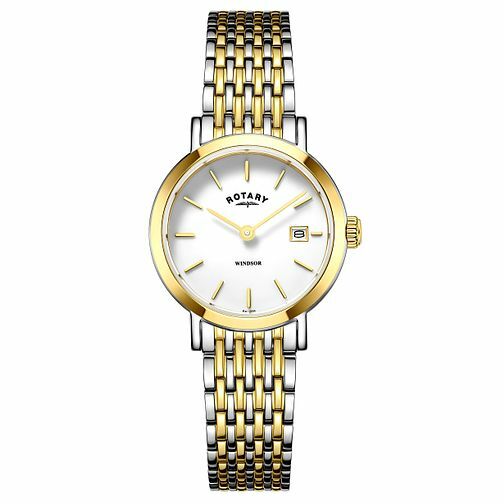 Rotary Windsor Ladies' Two Colour Bracelet Watch is rated 5.0 out of 5 by 1. Rated 5 out of 5 by Anonymous from Excellent value Very pleased with this purchase - good quality for the price paid. Would definitely recommend.